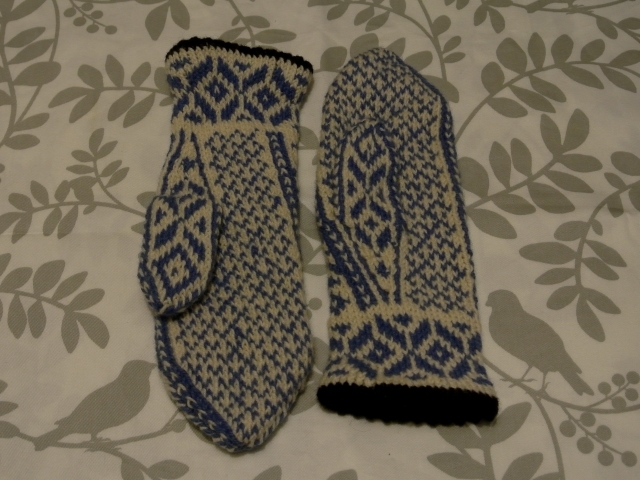 As I mentioned in my gifts for crafters, my dad gave me a Norwegian mitten and wool yarn one year for Christmas. It took me some time to make these because I was lazy and didn’t do a swatch first, so my first mitten came out a little too small. 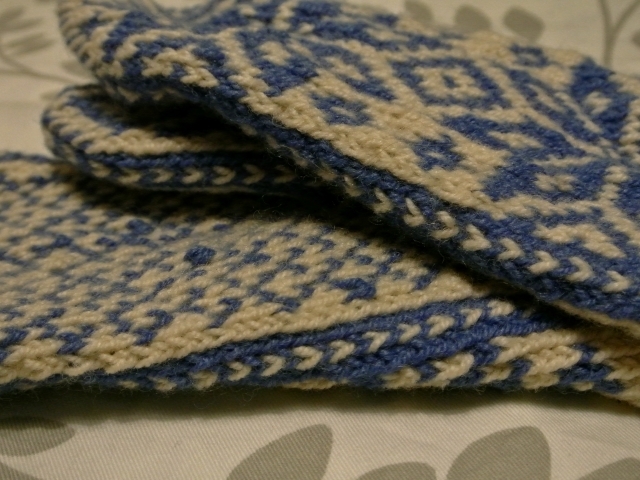 ::Always do a gauge swatch:: The 100% wool makes these extremely warm. The pattern was a little intimidating, but once I used to working with two yarns, it was pretty easy. You knit in the round and then block them so they are flat. The thumbs took a little finagling to make sure that you pick up the right stitches with the right color, but they are so cute. I also love the sides. I think that they look like little hearts going around the mittens, which is perfect. This entry was posted in accessories, crafty, yarn and tagged Christmas, Knitting, Mittens, Norwegian, Wool, Yarn. They are so cute! 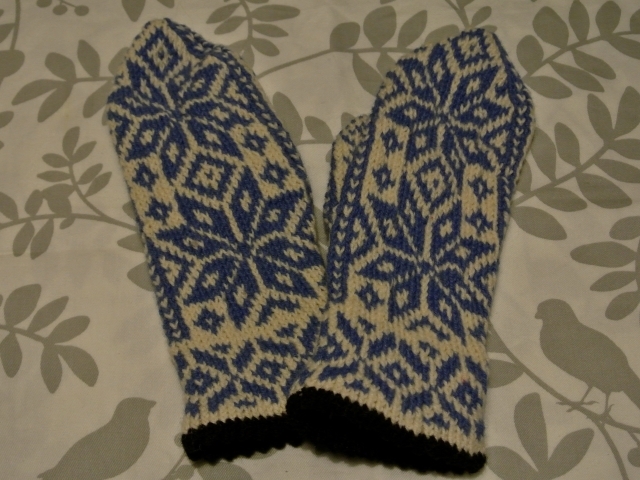 I’d love to make some mittens like these but never done anything like it before, bit intimidating.